The community of Villa Hortencia II, Guatemala lies approximately 24 kilometers from the regional capital city of San Juan Cotzal; it is home to a community of 135 families. For Food for the Hungry (FH), improving the nutrition of children in Villa Hortencia II was a priority. Around the middle of 2015, FH began a selection process in the community, identifying mothers with children under five years of age who were at risk, and offering these mothers care and coaching. Elena Bernal de la Cruz is one of these mothers. Doña Elena did her best with the resources at her disposal; she used to boil water to sterilize it before using it for drinking or cooking, but despite her most careful efforts, her children often had diarrhea and nausea because of the unsanitary water. I thank God for touching your heart and for blessing me, my family, and the other families in the community. 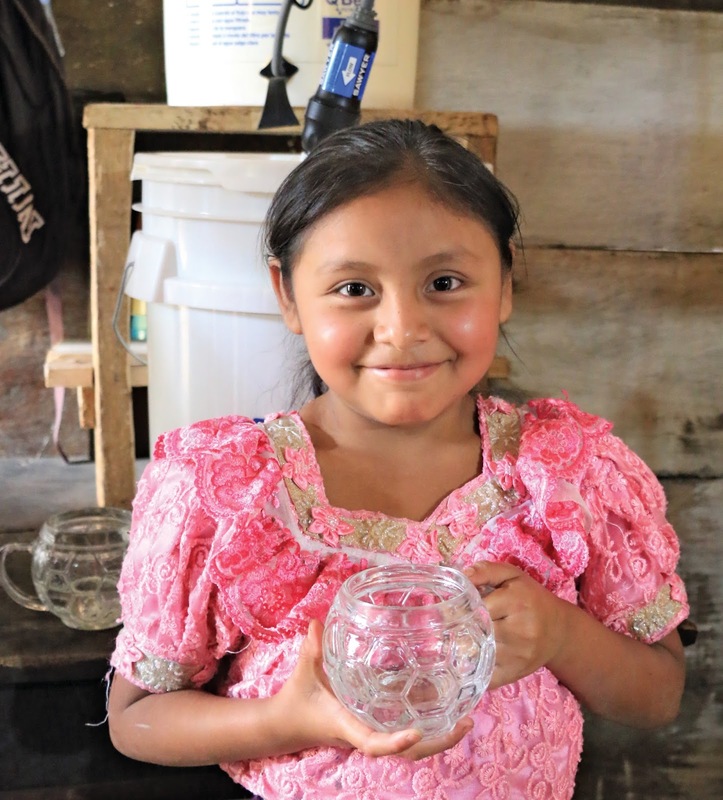 The filter provides a steady supply of clean, safe water for Doña Elena’s family. It is an incredible relief for her to know that her children are not constantly endangered by a substance that should be an uncomplicated good. Now during follow-up visits, she is encouraged by how happy the health volunteer is to see her children flourishing. Part of her children’s increasing health is, of course, nutritional, but Doña Elena knows that part of it is also thanks to water that doesn’t cause nausea and stomach pain. “Thank you for thinking about me,” she says. It’s a small thing, this filter, and yet it has given Doña Elena so much. This was made possible through donations to our summer Water Campaign and Gift Guide purchases made by Canadians like you. Browse the Gift Guide today. 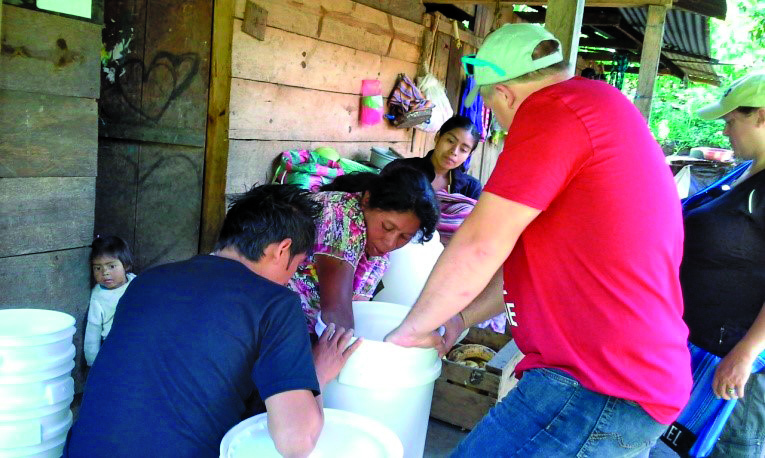 VISITING DONA ELENA'S HOME AND HELPING SET UP THEIR NEW WATER PURIFICATION SYSTEM.